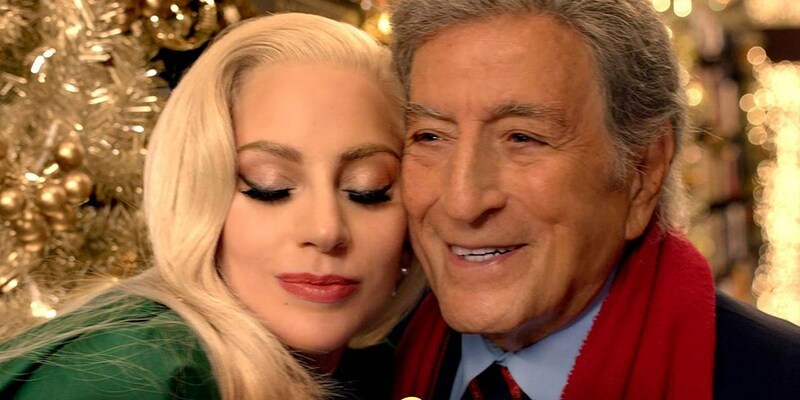 The new Christmas holiday TV ad Barnes & Noble features a festive duet between Tony Bennett and Lady Gaga, two beloved music icons whose special relationship perfectly captures the spirit of the season. The campaign was created by Barnes & Noble Chairman, Leonard Riggio, who wrote the slogan, “You Never Know Who You’ll Meet at Barnes & Noble,” and chose the artists, Tony Bennett and Lady Gaga. The artists have recently completed a sold-out world tour in support of their collaborative album, Cheek To Cheek, which debuted at #1 on Billboard’s Top 200 Album charts and won a Grammy Award. Bennett and Gaga are both avid readers and customers of Barnes & Noble. The ad starts Bennett and Lady Gaga walking through a Barnes & Noble store separately looking for gifts for each other while singing the classic holiday duet, “Baby, It’s Cold Outside.” The concept behind the ad, titled "You Never Know Who You'll Meet at Barnes & Noble," is to create an emotional connection between viewers and the bookstore chain. “Tony Bennett and Lady Gaga are two of the most iconic artists in the world today and we’re thrilled to bring some of their magic to Barnes & Noble customers,” said Glenn Kaplan, Vice President & Creative Director at Barnes & Noble. Barnes & Noble current Chairman and former CEO, conceived and wrote the ad for the brand featuring the famous entertainers.